One of the most anticipated movies of 2017, ‘Kaabil’, has launched it’s much awaited title song ‘Kaabil Hoon’. The song which is beautifully sung by Jubin Nautiyal and Palak Muchhal depicts the love story between two people who find love even without sight. The story of this Sanjay Gupta’s directorial venture revolves around a man who lived happily, until struck by a horrifying tragedy which leads him to take vengeance despite being visually handicapped. 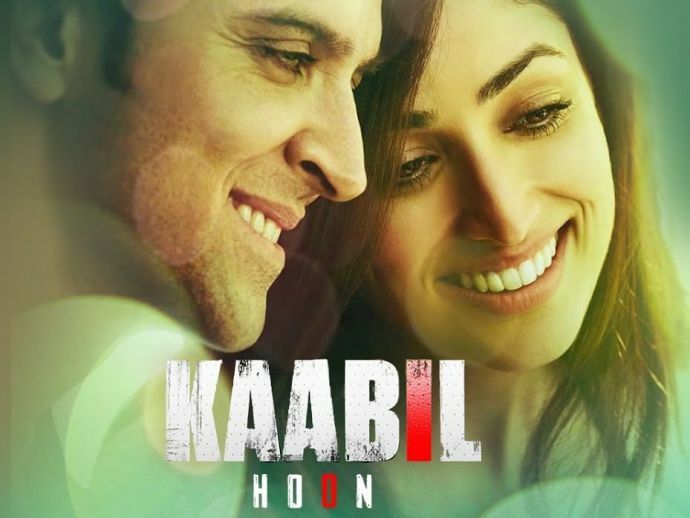 Featuring Hrithik Roshan and Yami Gautam, ‘Kaabil’ is all set to hit the theatres on 25th January 2017. Check out the new song right here.